The place where you can pack more fun and vastly varied activities into one day than the average person enjoys in a year. Because where else can you ride a surfboard in the morning. Admire iconic architecture before lunch. Enjoy an exquisite meal while overlooking the harbor. Stop by a museum to see iconic artworks. Walk through a national park in the afternoon and take some photos with exotic animals. End the day on a high note by sipping cocktails in a stylish bar. To make the most of what this fantastic city has to offer, simply browse through our guide and pick your favorites. You’ll thank us later. If you can visit only a couple of museums on your trip to Sydney, make sure that White Rabbit Gallery is on your list. This gallery houses one of the most fascinating collections of contemporary Chinese art in the world, spread across four floors. With an ever-expanding collection that features some 2,500 artworks created by more than 500 artists, the exhibitions change two times a year. The gallery also features a tea house and a gift shop. Dedicated to one of the most renowned Australian artists, the Brett Whiteley Studio offers visitors the chance to walk through the late artist’s home and studio. Brett Whiteley bought this former warehouse in 1985 and converted it into a living/work space. The gallery includes a changing collection of the artist’s paintings as well as memorabilia, unfinished work, and walls covered in graffiti, text, and images. Opened in 1992, the Sydney Jewish Museum documents the Holocaust and commemorates the millions of Jewish and non-Jewish victims of one of the darkest periods in human history. Some of the permanent exhibits also delve into the history of Jewish people living in Australia, illustrating their traditions, culture, and religion. The museum is housed in the historic Maccabean Hall, which was built to honor the NSW Jewish men and women who have served and died in WW1. A must-visit place for lovers of archaeology and cultural artifacts, Nicholson Museum houses the largest antiquities collection in the Southern Hemisphere. The collection features around 30,000 artifacts from all over the world and includes everything from Roman funerary monuments to Egyptian mummies and East Asian art. Also, admission is free. Dating back to 1816, the building now known as “The Mint” has a rich and dark past. It first functioned as a convict hospital and then an infirmary for the poor, gaining an infamous reputation because of its appalling conditions. Later, the building became the Sydney Royal Mint, and thus the birth place for over 150 million sovereigns. Now, the museum offers access to captivating collections that go deeper into the site’s history. The building itself is worth the visit on its own, as it shows architect Richard Francis-Jones’ vision of bringing together heritage and contemporary architectural features. The Sydney Observatory is one of the major branches of the Museum of Applied Arts & Sciences. A heritage site, the museum has been used by government scientists throughout the 19th and 20th centuries, with public access provided only in 1982 when the building became a museum. Visitors can check out some fascinating heritage objects here, including the Time Ball timekeeping device and the country’s oldest telescope. Other exhibits showcase the history of Australia’s relationship with the cosmos, from Aboriginal stories to space flight videos. A popular destination for tourists, Powerhouse Museum is part of the Museum of Applied Arts & Sciences, alongside the Sydney Observatory. The museum’s collection is incredibly varied and features over 400,000 objects and artifacts. You can browse through the science, computer and space technology, or communication exhibits before turning to the more creative decorative arts, design, furniture, fashion, and media collections. Built by Irish immigrants in 1844, the four brick houses that make up the modern Susannah Place Museum take visitors back in time, into the daily lives of the families who used to call this place home. The recreated interiors offer a striking view of the lives of the working class in 19th-century Sydney, while the outdoor areas feature the original wash houses and small backyards. The Australian National Maritime Museum features fascinating collections and exhibitions that provide an in-depth view of the country’s deep ties to the ocean. Both the permanent and temporary exhibitions showcase the indigenous population’s powerful links to the ocean, early exploration, identity, and immigration, among other maritime-themed topics. Apart from captivating artifacts and objects, the museum also offers access to floating historical vessels, including a replica of Captain Cook’s HMB Endeavour. Filled with over 4000 artworks created by contemporary Australian, Aboriginal, and Torres Strait Islander artists, Museum of Contemporary Art Australia is a must-visit place for any art lover. The exhibits include paintings, sculptures, photographs, and video works, among others. After immersing yourself in contemporary art, you can refuel your batteries at the museum’s café while admiring the stunning Sydney Harbor views. The oldest museum in the country, the Australian Museum was established in 1827. The permanent collection features a huge range of natural science and cultural artifacts. Over 18 million, to be more precise. There are also many animal exhibits, making this museum a great choice to spend a few knowledge filled – but still fun – hours with the kids. Designed by colonial architect Francis Greenway and built between 1817-1819, Hyde Park Barracks Museum was the main barracks for convicts in New South Wales. Now a UNESCO World Heritage-listed building, the museum introduces visitors to the history of the site through multimedia exhibits that offer a glimpse at the lives of the convicts in the early 19th-century. Built over and around the remains of the first Government House from1788, Museum of Sydney is a modern institution that honors the city’s past. The permanent exhibitions take visitors on a journey back in time, to the origins of Sydney and all the way to the present moment. It’s a great place to spend a few hours if you want to know more about Sydney’s history. When you visit, you’ll also have the opportunity to see other temporary exhibitions that showcase the modern art, design, fashion, and architecture of the city. Beyond the classical columns at the entrance to Art Gallery NSW, you can find one of the most incredible art collections in Australia. And in the rest of the world. Established in 1871, the museum now houses an array of artworks that range from 19th-century Australian and colonial works to the European old masters and Aboriginal art. Contemporary artworks are also regularly exhibited here, with around 30 shows per year. Trust us, you should put Published Art Bookshop at the top of your list. Why, you ask? Because this bookshop sells only the latest art, design, fashion, photography, and architecture titles. Even the children’s books are either design or art related, so you know this place takes its dedication to the creative scene seriously. And since the selection of books changes frequently, you’ll always have the chance to update your personal collection here. Located in Newtown’s King Street since the ‘90s, Better Read Than Dead is a popular bookseller. So popular, in fact, that the Lonely Planet Guide has named it “favorite bookstore in Sydney.” Step inside and you’ll find floor-to-ceiling shelves packed with books, even in the sky-lit mezzanine level. Browse through the large selection of titles to find some unexpected gems, whether in the fiction or the non-fiction section. Gertrude & Alice takes its name after two iconic American writers whose names are entwined forever: Gertrude Stein and Alice B. Toklas. One of the first shops to introduce the concept of eating and reading under the same roof, the bookstore has a friendly and warm atmosphere that aims to recreate the feeling of home. The bookstore has become a cherished neighborhood hub in Bondi Beach and is frequented by readers, writers, and coffee lovers from the local area and beyond. Established in the ‘70s, Gleebooks has been building an online presence since 1996. So it comes as no surprise to learn that it has become the city’s leading independent bookseller. Take your time to browse through the store’s range of books. The collection features hugely varied books, journals, music, and periodicals along with arthouse and rare films. Sappho Books, Cafe & Wine Bar is incredibly popular for a good reason. This charming bookstore not only sells second-hand tomes and records, but also has a beautiful courtyard cafe which transforms into a cool bar in the evening. Plus, the shop hosts live music and poetry readings. Good books, good food, good music, and good wine – what’s not to love? 30,000 used books await you at Ampersand Cafe Bookstore. The shelves cover the walls from floor to ceiling, making any book lovers’ heart skip a beat. Apart from the fantastic collection of titles which includes vintage gems and first editions, you can order something to eat along with a cup of coffee from the coffee shop. At The Society Inc. you’ll step inside an imaginarium dedicated to creative design. The eclectic shop is the brainchild of interior designer, stylist, and travel aficionado Sibella Court. As a result, the place features an array of vintage and found objects from all over the world, along with Sibella Court designs in a magical space. The ever-changing selection includes everything from home decor, accessories, and furniture to curiosities and artisanal items. Featuring a range of stores at the corner of Oxford Street and Glenmore Road, The Intersection offer the perfect opportunity to do all your apparel and accessory shopping in one place. Here you can find an assortment of iconic international labels and popular local brands. The hub also includes shops with eyewear and grooming products, as well as a courtyard café to help you refuel in between shopping sprees. 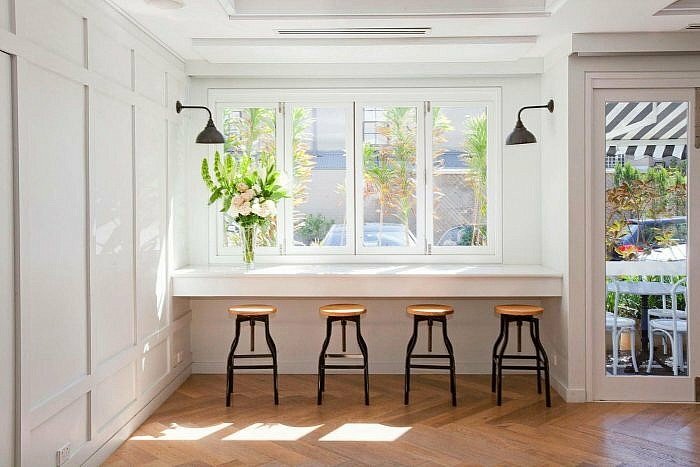 If you’re devoted to high-end fashion, you have to visit Parlour X. Located in the historic St Johns Church on Oxford Street, this boutique shop welcomes fashion-loving pilgrims into a stunning space. Inside, shoppers can find ready-to-wear collections from international brands like Céline, Chloé, Saint Laurent, Balenciaga, and Valentino, along with limited-edition collections launched by Australian labels. Local Design goes a step further in the quest to support and promote local designers. Apart from beautifully designed furniture, lighting, artworks, and home accessories, customers can also commission a local creative for custom projects. The shop is a love letter to the Australian design scene, making it a perfect choice for your itinerary. Danish design has come to Australia. To the bustling and thriving Surry Hills neighborhood, more precisely. Upon entering HAY Sydney, shoppers find themselves in a gorgeously designed apartment where all furniture, lighting, decorative items, and accessories showcase the very best of Nordic design. The shop also features the popular Mini Market which features ceramic ornaments, bags, stationery, and more. Drop by Dinosaur Designs to pick up some creative home decor, tableware and jewelry. An iconic brand founded in 1985, Dinosaur Designs offers a fantastic collection of handcrafted resin products that draw inspiration from nature. Whether they’re quirky bangles or striking trays, all of the brand’s products feature organic shapes, bright colors, and mesmerizing textures. A must-visit place if you want to find some amazing gifts for friends. Along with some designs to brighten up your own home. If you only have time to visit a few shops on your visit, make sure one of them is Koksela. The brand’s spacious warehouse features an array of ethically produced, Australian-made furniture, lighting, home decor, tableware, and art – to name just a few. Here you can find everything from products created by indigenous artisans and artists to award-winning furniture. And after you’ve browsed through all of the gems at Koksela, you can relax with a cup of coffee and a bite to eat at the showroom’s café. Founded in Melbourne in 1991 and relocated to Sydney in 1998, Planet has become not only a popular brand, but also a pioneer in the Australian solid wood furniture industry. Passionate about natural materials, craftsmanship, sustainability, and timeless design, Planet makes gorgeous wooden furniture that stands the test of time. Both in terms of build and aesthetics. Drop by the company’s large showroom to get a glimpse at the latest in Australian furniture design. Like its name suggests, there’s nothing ordinary or bland at N2 Extreme Gelato. Indeed, the shop offers some out-of-this-world flavors as well as gelato made with liquid nitrogen for an ultra-smooth texture and chocolate or caramel-filled syringes for extra opulence. A perfect place if you want to enjoy gelato in a completely new way. Flavors change every two weeks, so you’ll always find something surprising here. Don’t believe us? Past creations include Oreo cheesecake and glow-in-the-dark gelato as well as pea and wasabi. Unlike many gelaterias that stick to a 20-30 flavor range, La Mamma del Gelato Anita offers a huge selection of products. So many, in fact, that you may have some trouble picking just one. The shop serves over 150 kinds of gelato, frozen yogurt, sorbet, and ice cream. The selection also includes fat and sugar-free options as well as soy-based and real-cream tasty treats. The flavors range from brownie chocolate and Madagascar vanilla to pears poached in wine and tiramisu with hazelnut mousse. Go to Pompei’s if you want to try some artisan gelato made like in the good ol’ days. All natural ingredients, seasonal fruit, and delicious flavor combinations galore! Apart from biodynamic fresh milk and yogurt, Pompei’s also uses ingredients such as fine chocolate, jersey cream, spring water, and house-made caramel. The fruit gelati change with the seasons. For example, in summer you can order fig or white peach gelato, while in the fall months you can treat yourself to some apple, pear, or chestnut flavors. First opened in Milano in 2005, the RivaReno brand quickly made its mark in the gelato industry. Several locations in Italy soon followed, along with shops opened in Australia, Malta, and Spain. RivaReno’s authentic Italian gelato features only premium ingredients. These include Alpine milk, fresh and seasonal fruit, hazelnuts, pistachios, and almonds from Italy, as well as single origin Valrhona chocolate. The shop also serves the gelato at a slightly higher temperature than standard to maximize the flavors. Bar Italia is a popular Italian restaurant that also happens to have a great gelato bar on the premises. Authentic and homemade, the gelato and sorbet feature only the freshest ingredients. Classic options include Sicilian pistachio, coffee, chocolate, and vanilla, but you can also order tasty flavors such as caramelized fig, tiramisu, or salted caramel with macadamia nuts. Gelatiamo is incredibly popular with the local crowd. And you only have to taste a scoop of gelato to understand why. High-quality and made in small batches for ultimate freshness, the shop’s products take customers on a flavorful journey that stimulates the taste buds. The gelato bar’s signature flavors include strawberry and balsamic vinegar, mascarpone, or coconut and red bean gelato. Of course, creative flavor combinations are frequently added to the lineup, so you can always try something new here. Frangipani Gelato Bar is an award-winning artisan gelato and coffee shop that serves freshly made gelati, coffee, homemade biscuits, affogato, cakes, and more. Apart from classics and the popular pavlova gelato, customers can also try out new, inventive flavor combinations which change regularly. The shop has a seating area, so you can relax while enjoying your gelato before heading back to explore Sydney. The family-owned Cremeria De Luca traces its roots back to 1937, when Salvatore De Luca began selling gelato in Sicily. His son Luigi, then brought the art of Italian gelato-making to Sydney, opening the Five Dock shop in 2013. Mirroring the rustic decor, the shop serves simple and simply delicious gelato without frills or insane flavor combinations. Order a classic or go for the popular gelato ‘burger’ with scoops of gelati inside soft brioche buns. This is not an ordinary gelato shop. Cow and The Moon is up there with the Italian greats: it has received the ‘best gelato in the world’ award at the Gelato World Tour in Rimini, Italy. Understandably, the place is busy, but should be at the top of your must-visit list. The 25 flavors feature fresh fruit and seasonal ingredients. Some of the delicious options include coffee, vanilla and caramelized almonds, strawberry and blasamic vinegar, or salted caramel with banana. Inspired by their Sicilian heritage and love of food, the owners of Gelato Messina have created one of the most beloved ice cream shops in Sydney and beyond, with locations opened in Melbourne and even in Las Vegas. Every gelato is lovingly made in-house using only natural ingredients. Sample some classics, unusual flavors, or pick up a gelato cake to make your trip to Sydney a real – and delicious – celebration. Jonah’s is the epitome of “special” and it doesn’t shy away from flaunting it. Recently refurbished, the boutique hotel’s rooms are stylish and sophisticated. The decor plays upon the colors found in the surrounding natural landscape, bringing together neutral hues and golden accents that remind of the sun. Windows that open towards Whale Beach and ocean views are the cherry on top. A perfect choice for a romantic getaway, the hotel also features a high-end and incredibly popular restaurant. So popular, in fact, that urban dwellers from Sydney travel here for the exquisite food. As its name suggests, the Watsons Bay Boutique Hotel is located right near the popular Watsons Bay area, where locals and tourists alike come to enjoy walks, picnics, bike rides, or simply to admire the marina life. The 31 rooms and suites have a minimal decor and seaside-inspired colors Floor-to-ceiling windows not only fill the interiors with natural light, but also offer fantastic harbor or park views. A free Australian continental breakfast and bike rentals are included in the room’s price. If you’re visiting Sydney, you can make the trip extra special with a stay in a 5-star hotel. And it doesn’t get better than the award-winning The Langham, a stylish hotel located in a historic building in The Rocks area. Ultra-refined yet also intimate and welcoming, the hotel features beautifully decorated and sophisticated rooms. Views span the Western Harbor, Observatory Hill, and Sydney’s skyline. The Terrace Room is ideal for those who love to eat their breakfast al fresco while admiring a stunning panorama. Shades of blue, green and gray dominate the interior design scheme of Spicers Potts Point, making this boutique hotel look not only stylish but also serene and relaxing. The chic decor features natural fabrics with beautiful textures and modern, minimalist furniture. Here and there, heritage elements remind of the building’s origins, which go back to 1880. Guests who stay in one of the 20 rooms have access to a garden courtyard and terrace. Of course, restaurants, cafes, and busy local shops are also close by, along with transport access to the best attractions in Sydney. 1831 Boutique Hotel (the former Pensione Hotel) provides a balance between comfort, elegance, and convenience. The location is also a major plus, as this hotel is set in the Central Business District, a 2-minute walk from Chinatown and a 15-minute stroll from Hyde Park and the popular Oxford Street. A shared lounge and TV area allows guests to socialize, while the communal kitchenette offers a great solution to prepare breakfast in the morning before heading out to explore Sydney. Spread over two 1920s buildings, QT Sydney’s 200 rooms welcome guests into a design wonderland where old-world features and modern elements come together in complete harmony. Think vintage solid wood floors, a blend of subdued and bright colors as well as a contrast between minimalist furniture and eccentric elements. The lavish rooms also have workspaces and free Wi-Fi, making QT Sydney an attractive option for those on business trips. The Hughenden is housed in an 1870s Victorian home and still maintains some of its old-world character, complemented by modern touches. A perfect choice for travelers who are looking for a quiet, laid-back place, the boutique hotel is located a few minutes away from Centennial Park and a short bike ride away from Bondi Beach. With a Victorian lounge, French restaurant, a sunny rooftop terrace, and a reading room, guests may not even want to leave the hotel. To top it all off, this place offers free breakfast and is pet-friendly. Located in Sydney’s historic neighborhood The Rocks, Harbour Rocks Hotel is the kind of hotel you photograph before entering. The red brick building dates back to 1887 and features a distinct industrial-chic vibe which prevails throughout the interior. Exposed brick walls, warm wood surfaces, bold accents, and historical details make the rooms feel cozy and welcoming. For those who love admiring beautiful views every morning, the harbor-facing suite with a terrace is a must. The name may be a mouthful, but Ovolo Woolloomooloo offers something quite simple: comfort in a refined setting. Blending heritage features with contemporary design, this boutique hotel is one of the most stylish in the city. And that’s not all. Here you can stay in a stunning split-level loft if you want more space or choose a room with garden views. Free WiFi and iPod docking stations along with pool and gym access also sweeten the deal. Upscale and chic, The Old Clare manages to look refined and laid-back at the same time. This charming hotel is located in a former 19th-century pub and features remnants of the building’s past. These include vintage fixtures, heritage features and timber panels as well as the pub’s original boardroom. Updated for the modern traveler, the hotel features a contemporary and eclectic decor. Apart from The Old Clare’s world-class restaurant, guests can also enjoy the rooftop pool that offers gorgeous views of the city. As its name suggests, Sasaki is a Japanese restaurant. A fantastic one, looking at its popularity. Compact and cozy, the restaurant is ideal for intimate dinners and get-togethers with friends. The menu pays homage to owner/chef Yu Sasaki’s hometown of Shimane, with dishes inspired by the Japanese countryside. Even the architect responsible for the minimalist design hails from the area, making Sasaki an authentic and special dining experience. No.1 Bent Street by Mike is Mike McEnearney’s new restaurant which provides a more traditional dining experience compared to the canteen-style Kitchen by Mike. The restaurant’s menu focuses on simplicity, sustainability, and seasonal ingredients sourced from local farmers. The wood-fired oven and grill are the soul of the dishes, whether it’s the house baked bread or spit roasted meat. Fratelli Fresh in Sydney’s Crows Nest is perfect for those who love authentic Italian food made with simple ingredients and served in a relaxed, no-frills, laid-back atmosphere. This restaurant opened its doors to customers in 2016 and it has quickly become a neighborhood favorite among locals. And it’s not difficult to see why. It serves breakfast, lunch, and dinner seven days per week, it has a tasty menu that offers the best of rustic Italian cooking, and provides both indoor and outdoor dining spaces. Feel like you’re on vacation on a Greek island by stopping by 1821. This cozy and welcoming restaurant recreates the look and feel of a traditional eatery from Greece. Everything here is Greek, from the food to the building materials (yes, seriously), furniture and decor. The menu features a modern take on classic Greek dishes as well as Mediterranean flavors. On the lower level, the restaurant’s high-end bar offers the perfect opportunity to take a break from exploring Sydney and relax with friends. Ripples Milsons Point wins (many) extra points for its waterfront location under the iconic Harbor Bridge. Apart from the picturesque views, the award-winning restaurant also offers an inventive Italian menu that features seasonal, high-quality ingredients that enhance beloved classics. And if you don’t have the time for a long lunch or dinner, you can enjoy your breakfast here while admiring the Sydney Harbor. A veritable oasis in the middle of Sydney, The Butler Potts Point features a spacious terrace surrounded by lush vegetation, framing the stunning city views with greenery. The restaurant pays homage to the historic The Butler restaurant which used to occupy the same space, bringing a fresh twist to the classic Ibero-American menu. Delicious cocktails and an extensive wine list that takes customers on sensory trips to Australian and French vineyards complete the restaurant’s offerings. The stunning waterfront location alone makes Hugos Manly a must-visit place, but this restaurant also serves fantastic food that has won the hearts of both local diners and food industry specialists. Set on the iconic Manly Wharf, the high-end restaurant transforms dinners into a magic experience bathed in the warm glow of the sunset. The menu is contemporary Italian and you can add the perfect finishing touch with a cocktail from the award-winning bar. NOLA Smokehouse and Bar celebrates the rich culinary history of New Orleans and complements its menu with a range of American whiskeys. The menu features contemporary takes on traditional dishes, while the whiskey collection has 500+ labels, including limited-edition and hard-to-find bottles. Southern hospitality, hearty dishes, and good whiskey – a winning combination if there ever was one. Of course, the interior also brings the soul of New Orleans to Sydney, Australia. A perfect choice for a lunch or dinner with friends. Opened in May 2018, The Bavarian Rouse Hill has a spacious dining area with 350 seats as well as a welcoming outdoor space for around 30 seats. The Bavarian menu features hearty dishes and modernized classics along with hot dogs, schnitzels, and popular craft beers. Good tip: on Thursdays, you can get 2-for-1 cocktails here. Perfect for a lunch or dinner with friends, El Camino Cantina offers a blend of Tex-Mex food, margaritas, and rock’n’roll classics. This fun and vibrant restaurant complements its fajitas, quesadillas and tacos with tequilas, mezcals, the aforementioned margaritas, and a range of local and imported craft beers. And since this is not an ordinary place, customers can also enjoy the complimentary hot chips and salsas, served from two restored 1957 Chevy trunks. Seafood lovers will probably fall in love with Catalina Rose Bay. Opened in 1994, this family-owned restaurant serves delicious Mediterranean-inspired food, with sustainable seafood and free range meat sourced from Australia’s best producers. The dining area is also a thing to behold: floor-to-ceiling windows overlook the harbor and flood the room with natural light. 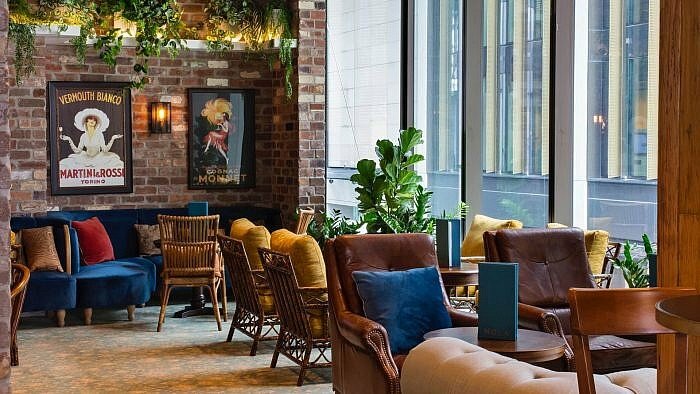 The Meat & Wine Co Barangaroo welcomes diners with an interior that blends tribal influences, bright color accents, bold patterns, and an abundance of wooden surfaces. As the name suggests, you can get some awesome steaks here, including kangaroo and premium beef exclusively sourced for the restaurant, as well as wine from Australian or international producers. If you’re looking for something more special, stop by Firedoor. This Sydney restaurant puts fire at the foundation of its menu, even using different types of wood to highlight the flavors of the ingredients. The open kitchen gives the perfect view of the custom wood-fired ovens, Australian-made hearth, and grills, for a truly sizzling dining out experience! Stepping inside Automata, one can’t help but admire the industrial-chic and ultra-refined interior. And the exquisite dishes look just as gorgeous. Apart from the seriously photogenic design, the food also takes fine dining to another level. The menu changes regularly with the seasons and the dishes come with recommended drinks that enhance the flavors further to make a visit to Automata one to remember. Elegant and romantic, Restaurant Hubert is a perfect choice for a date night. The decor features wood paneling on the walls, soft and warm lighting, wooden chairs, red drapes, candles, and a large piano. The epitome of fine dining, the menu includes many French cuisine classics made with creative twists. A major plus for wine lovers, the wine list includes bottles of the same type of wine, but sourced from different vineyards to allow the customers to appreciate the diverse flavor profiles.